A man is behind bars after a shooting last month that left another man dead in Newport. Joshua Presswood, 25, is in the Hamilton County detention center awaiting extradition to Kentucky where he will be booked in the Campbell County Detention Center. He is charged with murder. On Saturday, February 17, Newport Police were called to Lindsey Street between Isabella and Patterson Streets for a report of a shooting. Jonathan Hayward, 24, was found dead from a gunshot wound. 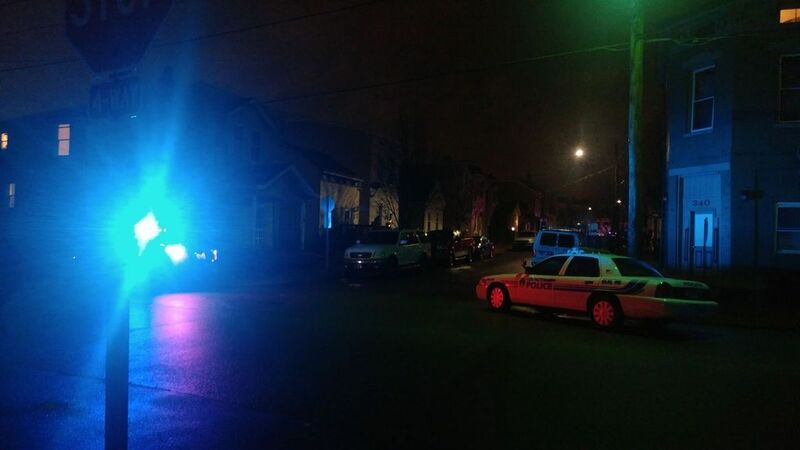 At the time, The River City News reported about a large police response to 13th Street that was happening simultaneously as the investigation on Lindsey. Detective Dennis McCarthy, who is leading the investigation, said that the calls were not related. When police first responded to Lindsey Street, they were told that a subject, or multiple subjects, may have fled from the scene on foot. Other nearby police agencies were dispatched to set up a perimeter with K9 units. Around the same time there was a call about a suspicious vehicle on 13th Street that may be picking someone up. Police swarmed the scene and due to the angle at which the vehicle in question was parked, it appeared as though someone may have gotten out of it and fled on foot. McCarthy said that investigators later concluded that no one had gotten out of the car and that the shooting and suspicious vehicle calls were not related. Newport Police were able to use their leads gathered over the past four weeks to identify Presswood as a suspect. McCarthy said that Presswood was currently on probation in Cincinnati and the probation office was notified of the murder charge. That office notified Presswood and his family. Presswood turned himself in soon after, McCarthy said.